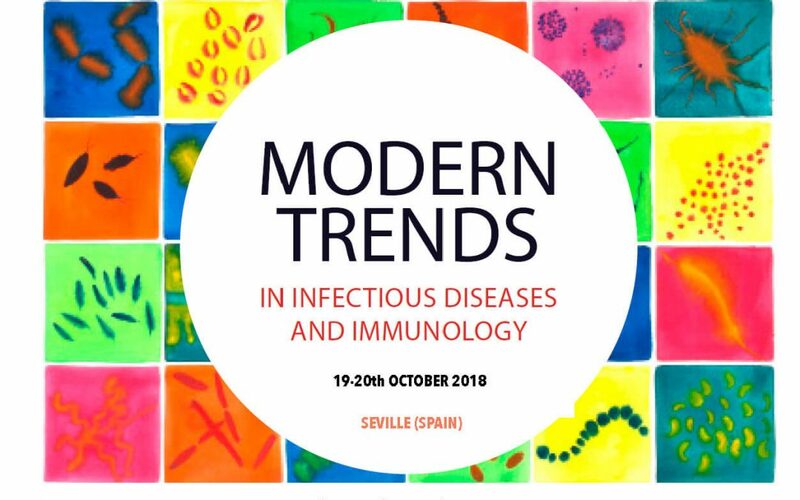 ¡Ya tenemos a punto la nueva edición del curso “Modern Trends in Infectious Diseases and Immunology“! Se celebrará los próximos días 19 y 20 de Octubre en Sevilla. Las inscripciones ya están abiertas, podéis ir reservando en el link que os dejamos a continuación. Os dejamos también el programa con toda la información. The new edition of the course “Modern Trends in Infectious Diseases and Immunology” is ready. It will be held on the 19th and 20th of October in Seville. Sign up is already open and you can book your place using the link below. You can also access the program with all the information. We hope to see you for Seville!